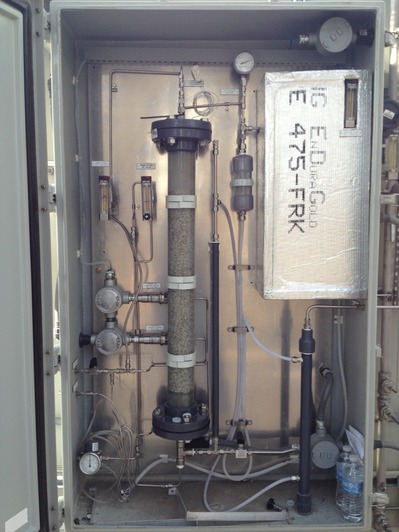 The TCEQ has deemed it necessary for all of the plants in the Texas Gulf coast area to measure for HRVOC in the cooling tower water and to measure al the components exiting the flares. Let's talk about the cooling tower water (CTW) and how we will accomplish this. 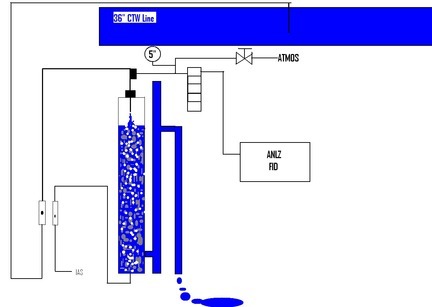 How does the process even get into the cooling water? Once a hydrocarbon is in the water, how do we get it out and measure it? How do we know we are accurate? What tests must be performed? Finally, how does this help the plant? Cooling water runs through the plant and is used in heat exchangers to cool the process. Why do we do this? Because we need to turn something from a vapor to a liquid. We need to slow down reaction. There are multiple reasons. 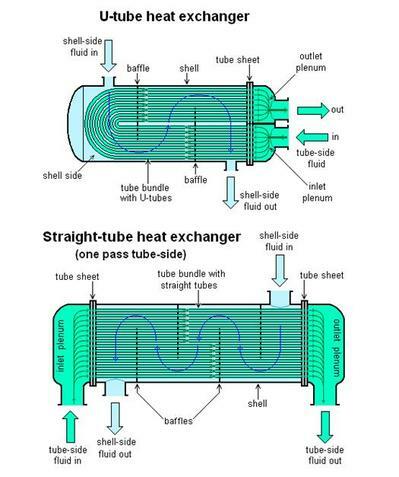 If you have never seen a heat exchanger, here is an example of two types. The process comes in and back out. Cooling water will flow over the tubes and out and thus cooling the process. After a while. with enough water flowing across them, the tubes will leak. When the tubes start to get pin holes in them. The process will go into the tube. The pressure of the process is greater than the CTW pressure. So now we have hydrocarbons trapped in the water heading to the cooling tower. Water leaves the cooling tower and goes to the plant to be used to cool down different exchangers. Maybe there is ten or fifteen, depends on the process and unit size. After going out, it will return to the cooling tower to be cooled off again and then sent back out. To measure the hydrocarbons trapped in the water we have to catch the water before it hits the cooling tower because once it does the hydrocarbons will jump out of the water and into the air. We will -place a sample tap into the CTW return line and pull the water down to our stripper/sparger. There are different types and ways to get the hydrocarbons out of the water and to the analyzer. For now we will stick to the stripper. We will send the CTW to the stripper at a precise flow and then we will introduce an air flow into the stripper at a precise flow. The air helps to bust the hydrocarbons lose from the water. The stripper is also filled with ceramic u shaped pieces called saddles. These also help to bust the hydrocarbons loose from the water. The air and the hydrocarbons will then be carried over to the analyzer to be measured. Note. We must create a back pressure to force the sample to the GC. There are multiple ways to do this.